Cold Calling Services | We can make the calls for you. Cold calling, that first telephone call to a prospective customer, is an important stage and technique in the selling process. AnswerNet can make these cold calls for you. Cold Calling Services - We can make the calls for you. Cold calling is the first contacting of potential customers, by phone or in person to sell goods or services, or to set a subsequent sales appointment. Cold calling, if performed properly and not just as merely an indiscriminate "numbers game", can identify and create huge new business opportunities. Our telesales professionals take a consultive approach and work with you to develop effective calling campaigns and strategies. Draw on our experience to help design your campaigns. Let our trained and experienced agents make the calls for you. AnswerNet staff can work with you to develop and test calling scripts and guides - making it easier for agents to not sound like they are just reading from a script. AnswerNet cares about the success of your outbound calling campaigns. We take a consultative approach in campaign design and management. Project managers meet with you throughout each step of your calling program to assess results and, if necessary, make adjustments. 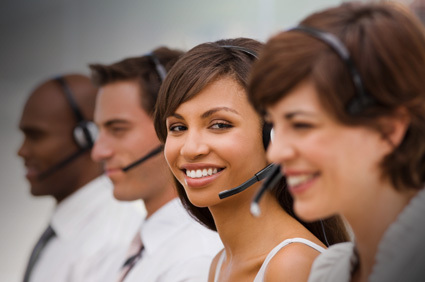 Our telesales agents will be trained on your business' services and products. Training and experience can help to make the cold call a more enjoyable opportunity for both your business and the prospect.